The Valkyrie Warranty System is part of the ChassisUpgrader application that is responsible for upgrading your Xena tester chassis with new firmware. The warranty system will check if your chassis and test modules are covered by Xena hardware warranty and software maintenance agreements. It was first included in Release 56 which was made public in May 2014. The ChassisUpgrader is only available in Xena Software Release 57 and newer. The hardware warranty applies to both test chassis and test modules. Under the warranty, Xena will repair free of charge any hardware that has been reported to be defective. The software maintenance only applies to test modules. An active software maintenance allow you to upgrade the covered test module to the latest firmware. As mentioned above the warranty system is handled by the ChassisUpgrader application. This application is installed on your PC as part of a Xena software release. The software installer will offer to launch the ChassisUpgrader after a completed installation. You can however launch the updater application from the Xena Networks Windows menu at any time afterwards. When synchronizing the chassis information the ChassisUpgrader compares the serial numbers of the chassis and test modules to a list of known serial numbers and their expiry dates. This list is contained in an encrypted warranty file which is part of the software release package, but a new warranty file may be issued to you if necessary. If the free 36-month software maintenance period for a test module has expired (and no extension has been bought), you will NOT be able to update the firmware for the chassis in which the test module is installed or for any other test modules installed in that chassis. You can either continue using the same version, or you can upgrade to the last version released before your software maintenance period expired. If the test module or chassis is still covered by a hardware warranty (but it was scheduled to expire within 90 days of the Release being made available at the end of May 2014), you will be able to see how many days until the current warranty expires. An expired hardware warranty will not prevent you from upgrading to the latest software release but any hardware problems must be repaired at your own cost. If your software maintenance and/or hardware warranty has expired (or is about to do so in the near future) you should contact your local Xena partner. Based on the original sales date or invoice they can tell you when the software maintenance and/or hardware warranty expired and calculate the cost of renewing the relevant warranties. If there is any doubt, please send an email to Xena Networks ([email protected]) for confirmation of the expiry date etc. Please attach an inventory report which you can generate from the ChassisUpgrader. All prices however must still go through your partner. Xena Networks will then issue an invoice for this order and once that has been paid, a new warranty file will be emailed to person(s) included on the PO. Included in this email will be detailed instructions on how to manually replace this file in the install directory. You can then perform the upgrade and will now be able to install the latest software version and/or see that the hardware warranty is once again covered by a valid warranty. ESMHW-12-Valkyrie 12-month Extended SW and HW Maintenance: Available for in-warranty product. ESMWA-12X-Valkyrie “Back into service” includes 12 months HW and SW support for “out of warranty” product. 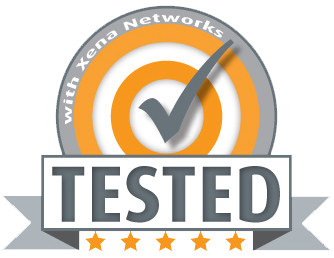 * When purchased after the HW warranty has been expired for more than 1 year, Xena Networks reserves the right to inspect the condition and operation of the equipment before re-instating the HW warranty. An inspection fee of $1000 will be applied. You can download earlier releases from Xena’s website. There are links on the same Software Download page as the current release. This gives you the option of upgrading to the last release available before your software warranty expired, or re-installing an older version.